In 2014 Beyond Your Blog reached out to 13 bloggers to see which online publications they hoped to be published on. A year later, we followed up to see if they had reached their goals or changed course. Now we are following a new group of bloggers to find out their goals for 2016, and we’ll check in next to see where they are with those target sites. Melissa blogs at Mommy Musings, where, as a mother of three with kids ranging in age from 5 to 20, she shares her ramblings on the world’s most precious profession. Huffington Post – The prestige, the reach, the quality of writing … I would be beyond honored to see my byline in this publication. Brain, Child Magazine – I love the authentic voice featured in this publication’s stories. Well Family – I’m a former reporter, and this is a New York Times publication. Need I say more? Kamsin blogs at Life in the Key of E, targeting educated moms who want to ignite their hearts, feed their minds and find their purpose. Scary Mommy – I’ve been following this blog for a while now, they publish a lot of content and it seems a good play for a mommy blogger to start. Brain, Child Magazine – simple reason? My friend had an article there recently. If she can do it so can I.
Coffee+Crumbs – I love this blog. It looks beautiful and I wish I’d written their manifesto. A Fine Parent – The parenting philosophy aligns well with mine. Scarlett blogs at Scarlett Ballantyne, a lifestyle blog focusing on curating beauty for the everyday woman and inspiring Mama-Bosses to be entrepreneurs. I also blog about parenting teens (as I am the mother of two, and it keeps creeping into my writing!). Scary Mommy – I was published twice here last year and I really would like to be published there at least 6x in 2016. It has been a lot of rejections so far so I am really trying to refine my style in order to write in the tone that the editors are looking for. BonBon Break – I would like to get published again here. I have been once before and I found they were amazing at sharing. Hearst Magazines – My big goal is to get published at Hearst Magazines (specifically Seventeen, Good Housekeeping, Redbook or Marie Claire). I feel like that it would help get my name out there because, ultimately I would like to become a regular contributor somewhere — perhaps even work for a site as an editor, or something behind the scenes. I have had a full-time careers in other arenas so I think that I have a skill set that I could funnel into working for someone else. Kristin blogs at Two Cannoli. Despite the tempting name, this blog is not about food; it’s about life and love. And occasionally, the love of food. New York Times – My number one target is the New York Times. The quality of work they publish is fantastic, and I want to be in that club. I’ll feel as though I’ve really “made it” when I am accepted there, for some reason. Salon – I am intrigued by Kim Brooks, the new editor, and I want to get on her radar, even if I’m not accepted the first, second, or even third time. I want to build the kind of relationship with her that she had with Sarah Hepola, the previous editor. Full Grown People – This seems like a great fit for some of my longer essays, and I plan to start pitching them this year. I love their work. Brevity – Concise, perfectly crafted essays? Yes. I want to strive for this one too, because it will help me consolidate my thoughts and practice my Hemingway skills. The Saturday Rumpus – Because the essays they chose are not only beautiful, but thought-provoking. They haunt you; I want to haunt someone with my words, too. Anne blogs at Anne Bardsley, a humorous and sentimental site for women forty and over that focuses on the brighter side of life. Good Housekeeping – With five kids, I have family stories to cover every phase of raising kids. Most are humorous. AARP – Now that fifty is considered their senior, I prefer to focus on the lighter side of life. The kids are grown and flown. My stories about menopause and grand kids, and living with a husband of thirty-eight years is chocked full of humor and sentimental stories. Purple Clover – I like the feel of this publication. They are my peeps! Definite a goal to join their family. Washington Post – (thinking big here)…Why not? It would be a challenge, but I’m in this for the fun and growth. I want my writing career to bloom. Caryn blogs at Journey to Napa, about anything and everything happening on the road to retirement, which includes being a parent of young kids, work, relationships and anything else that pops up! Brain, Child Magazine – Blog posts on Brain, Child regularly have me pausing as I read to truly reflect about what is being written and think about how it relates to my own situation and parenting. The depth of writing is one I aspire to and while I have already submitted and been rejected once, its presence on my target list keeps me motivated and challenged to try again (and again!). Coffee + Crumbs – Where Brain, Child posts often challenge the way I think about something, Coffee + Crumbs pieces give me pause on how I feel about many aspects of parenting small children. Almost every post connects with me by sharing some of the deep feelings, insecurities, small victories and everyday moments that constitute motherhood. I sometimes struggle to bring out emotion in my pieces without always thinking it feels forced or cheesy, so Coffee + Crumbs gives me both a guide and a goal to aspire to. Reader’s Digest – This publication accepts the type of stories that I like to share. 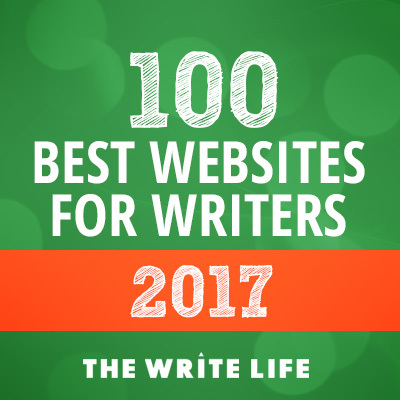 Redbook – Being acknowledged by Redbook would be my writing fantasy come true. Scary Mommy – I have yet to have a piece accepted by them and that’s driving me to drink! Amanda blogs at Stay-at-Home Panda,about the triumphs and troubles of being a mother, wife, and woman. Huffington Post – Although it doesn’t pay, it gets many readers, and would give me a sense of personal satisfaction and some bragging rights. Washington Post – Being published on Washington Post would also make me feel pretty legit as a writer. Romper – I just found out about it and because they pay and it is a new site for me, I want to try to get my stuff to them. To be honest, I just applied to be a lifestyle writer for them, and I’m crossing my fingers. Becky blogs at Becky’s Blog about her journey of motherhood, including all of the imperfect, messy and beautiful moments. Brain, Child Magazine – I have one publication goal in mind for 2016 – Brain, Child. Most of my writing has shifted from shorter blog post type pieces to longer personal essays. I love the essays published on Brain, Child, for both their truthful content and excellent writing. Heather can be found at Heather Haines, a North Carolina based author; crafter of fine words and phrases. Hearst Digital Magazines – Because there is so much possibility and so much reach. Skirt Magazine – because I have submitted to her numerous times over the years. She keeps saying “no”. I don’t even think they pay writers anymore, so really, it’s just about Pride at this point. The Sun Magazine – Writing I really admire. They put out quality work. Darling Magazine – again, just love the writing and presentation. Elizabeth blogs at Midlife Run, about running, parenting, and living well in midlife. Grown and Flown – This is me! With an 18-year-old Freshman in college, and a 14-year-old Freshman in high school, Grown and Flown has been a tremendous resource for our family. Now, having survived our first child’s college application frenzy, dorm move in day, and the first vacation break with our newly minted adult back in the house, I have a bit of wisdom and wit to offer. Grown and Flown seems like a tremendous fit for some of this material. Well Family: Borrowing from college-admission jargon, the NY Times Well Family (formerly Motherlode) is my “stretch” goal. The writing on this site is consistently thought-provoking, on point, and uncommonly good. To have my writing accepted for publication here would be extraordinary. Elizabeth blogs at Seeking Imperfection. As a recovering perfectionist (spurred by illness, not by choice), she chronicles ways that letting go and embracing imperfection can lead to happiness. The Mighty – I’ve followed and admired this publication for months. It highlights stories of chronic illness, disabilities, and more. I’ve thought of probably a dozen story ideas for The Mighty, but have talked myself out of submitting them. Now’s the time! Scary Mommy – This publication’s articles might make you laugh or cry, or something in between. I want to contribute to this community of imperfect parents. My book – Within the next 12 months, I want to complete my memoir manuscript (it’s 75 percent “done”) and begin pitching it. We’ll check back in with these bloggers next year to see where their goals have taken them! What are your top publication targets for this year?